England - A top U.S. Air Force official on Sunday urged the U.S. government to speed up its consideration of long-standing bids by Qatar, Kuwait and Bahrain to buy U.S. fighter jets, citing growing frustration among the key U.S. allies in the Gulf about delays in the process. Air Force Deputy Undersecretary Heidi Grant said she was trying to reassure officials in those countries that Washington’s failure to approve billions of dollars of U.S. arms sales to them would not alter the strong bilateral air force-to-air force relationships that exist. “I would like to see a decision soon,” Grant told Reuters in an interview on the eve of the Farnborough Airshow in southern England. Grant said she “absolutely” saw growing frustration among officials in the three countries, which have asked to buy a variety of U.S. fighter planes. Grant said the three requests were still being worked on “at the highest levels of our government.” She declined to comment on what was holding up the decisions. All three arms sales have stalled amid concerns raised by Israel that equipment sent to Gulf states could fall into the wrong hands and be used against it, and by the Obama administration’s desire to integrate arms sales decisions into its broader decision-making on military aid to the Gulf. 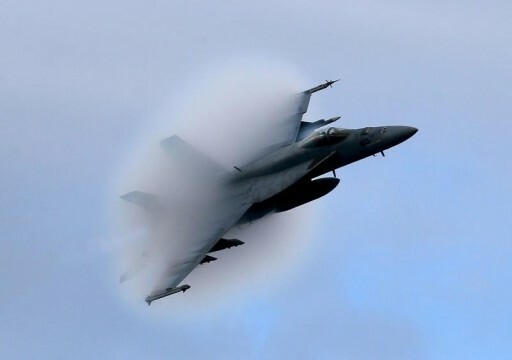 The Pentagon and State Department have both have signed off on the sale of 36 F-15 fighter jets to Qatar and 24 F/A-18E/F Super Hornets to Kuwait, both built by Boeing Co, as well as about 16 Lockheed Martin Corp F-16 fighter jets to Bahrain in a deal valued at just under $1 billion. Leanne Caret, chief executive of Boeing Defense, Space & Security, told reporters the approval process was clearly taking longer than the company would like, but Boeing’s Middle East customers were “hanging in there with us” despite the delays. “I believe we have a bright future on it, and we look forward to resolving it soon,” she said. Grant joins other senior military officials and lawmakers who have weighed in in recent months to urge the White House to move forward on the arms sales requests, some of which have been in work for years. The sale to Kuwait is worth about $3 billion and the one to Qatar is probably close to $4 billion, according to sources familiar with the matter. The value of the Bahrain deal was not immediately available. U.S. Navy Secretary Ray Mabus last month warned the U.S. Navy could see the cost of new F/A-18E/F Super Hornets rise unless the government approves foreign sales of the jets soon. Mabus said he was frustrated by delays in approving the sale of the Boeing jets to a close U.S. ally. Senior U.S. officials have said they are keen to see the Boeing F-15 and F/A-18 production lines in St. Louis, and the Lockheed F-16 line in Fort Worth, Texas, continue, and do not want to foreclose options on fourth-generation aircraft. Heidi, just wait until the F-35s are delivered to Israel.